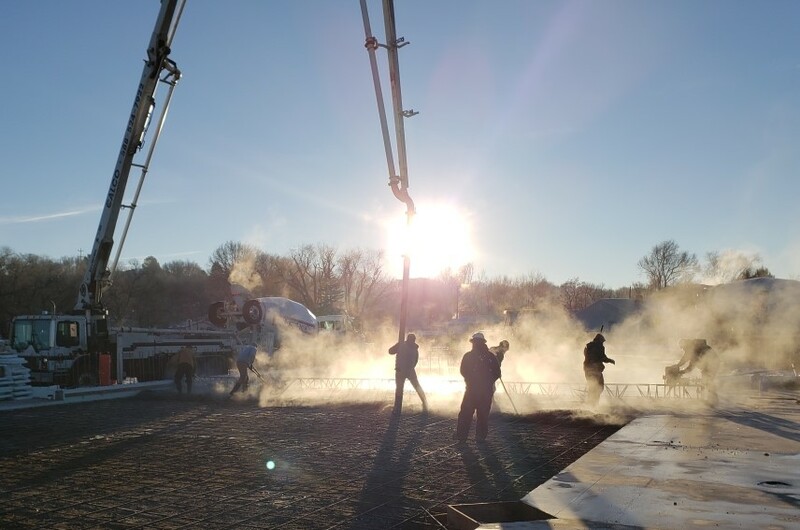 Progressing with Pours | Kissner GC, Inc.
Today’s slab pour came in at 80 yards — the biggest pour for the Delta Middle School addition to date. Rise and shine! It’s a great day for a pour. 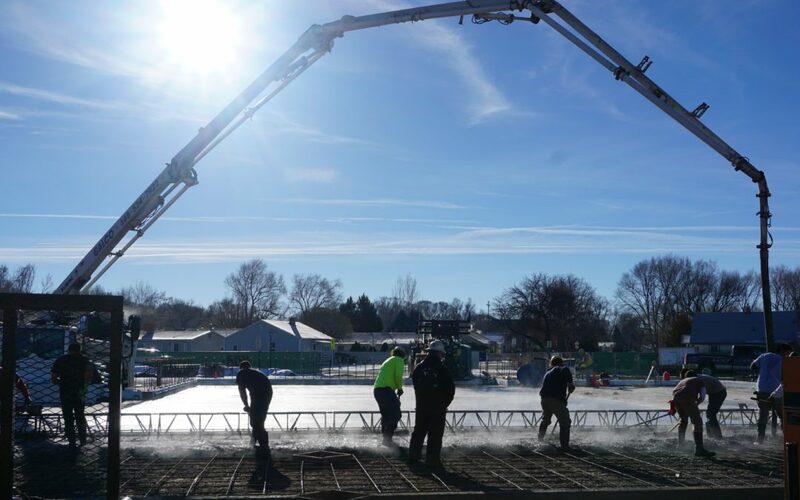 The last slab pour is scheduled for Friday, 1/11. Getting these slabs poured may seem like a long time coming, but there’s a lot of underground work that needed to get done prior to pouring. In the above image you can see some of “the guts” beneath the school addition. 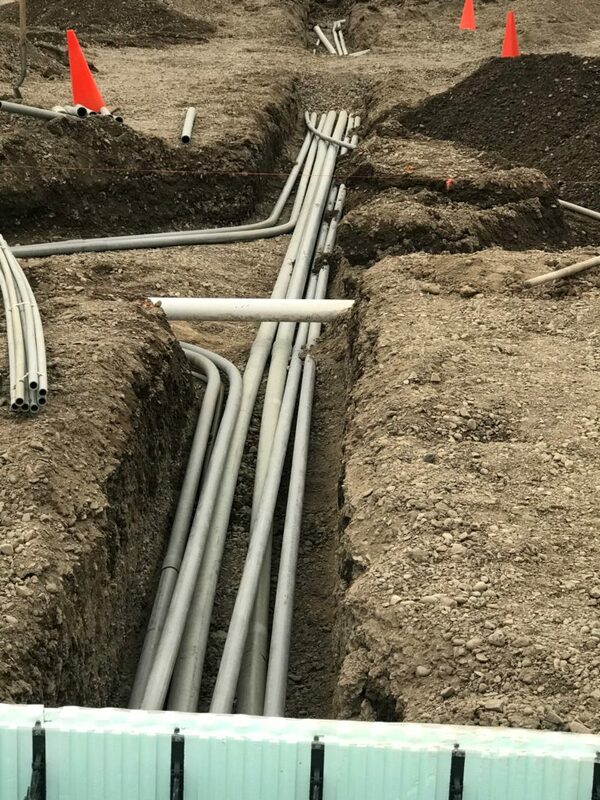 White pipes are plumbing and the grey is electrical conduit. Electrical conduit runs beneath the concrete slabs. 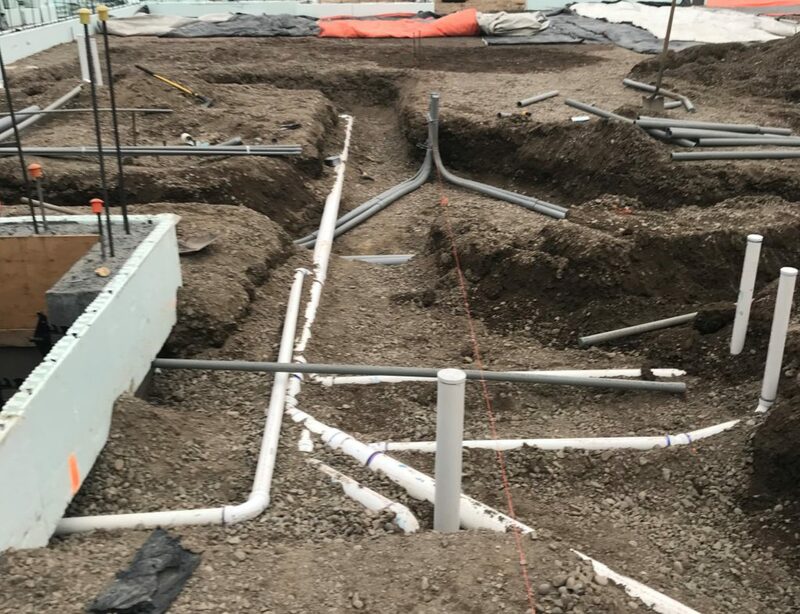 This week, along with finishing pouring the concrete slabs, we expect to start pouring the concrete for the ICF (insulated concrete forms). Early next week, steel columns will be set, and those concrete walls will continue going up. It’s time to go vertical! 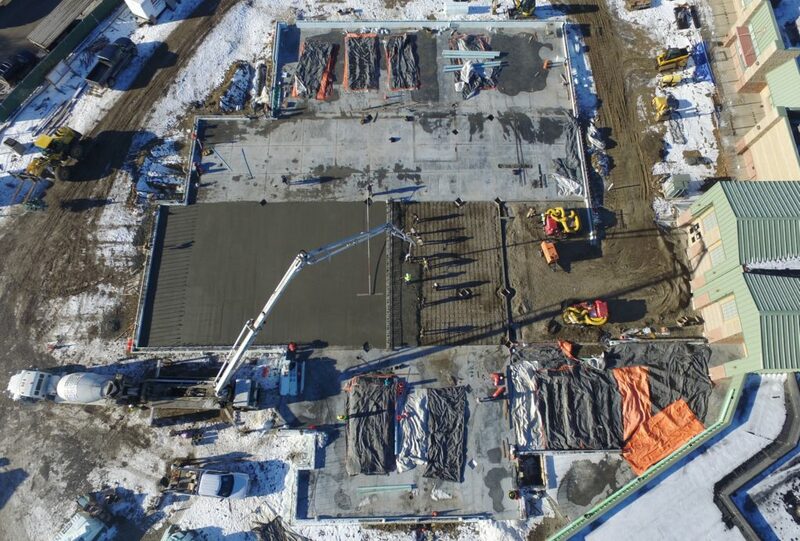 An aerial view of today’s pour. Click and drag on the image below for a 360-degree view of the job site.